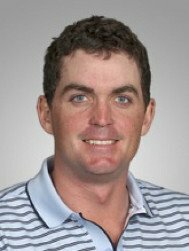 Keegan Bradley’s grip, like that of many modern power hitters, rotates toward the strong side. Indeed, a strong grip is so common among today’s tour pros that Bradley’s hardly seems unusual at all. 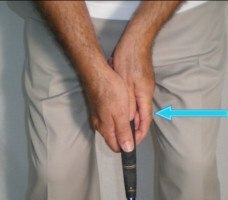 The slight turning of Bradley’s hands to the right enhances his wrist flexibility and helps him set the club in a powerful, cocked position at the top of the backswing. 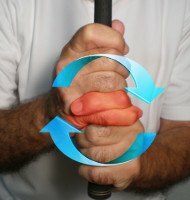 But his grip isn’t so strong that he loses control on the downswing. That’s good, because Bradley’s lower body rotates ferociously through the ball, which could create some colossal hooks were his grip out of whack. Instead, Bradley hits it straight enough to consistently rank among the PGA TOUR’s top 12 in Total Driving, which combines driving distance and accuracy stats. In 2014, for instance, he found 62.4% of fairways while averaging 302.2 yards. The New Englander received a lot of attention for his putting after winning the 2011 PGA Championship with a belly model (and draining some epic bombs in the process). 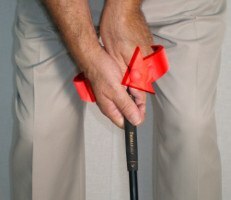 Anticipating the USGA’s belly putter ban, which takes effect in 2016, he switched to a conventional-length wand in 2014. He may have changed putters, but Keegan Bradley’s grip remains intact. It’s simple and straightforward – standard reverse overlap, palms parallel in a nice, neutral position. It will be interesting to track Bradley’s results with the shorter putter, since he used a belly putter going back to his college and amateur days.